One of the first Projects undertaken by The Friends came to fruition last year with the completion of the restoration of Beechey’s portrait of Fletcher Norton, First Baron Grantley of Markenfield, and its frame. 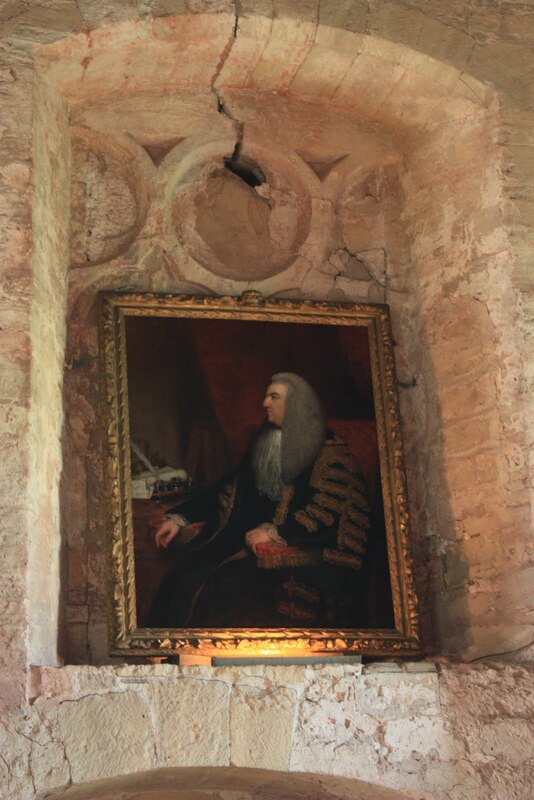 The portrait has hung in the Dining Room at the Hall for many years, underneath centuries of dust, dirt and wood-smoke. The restoration work was funded by The Leche Trust, a Trust that works to help conserve historic houses and their contents. 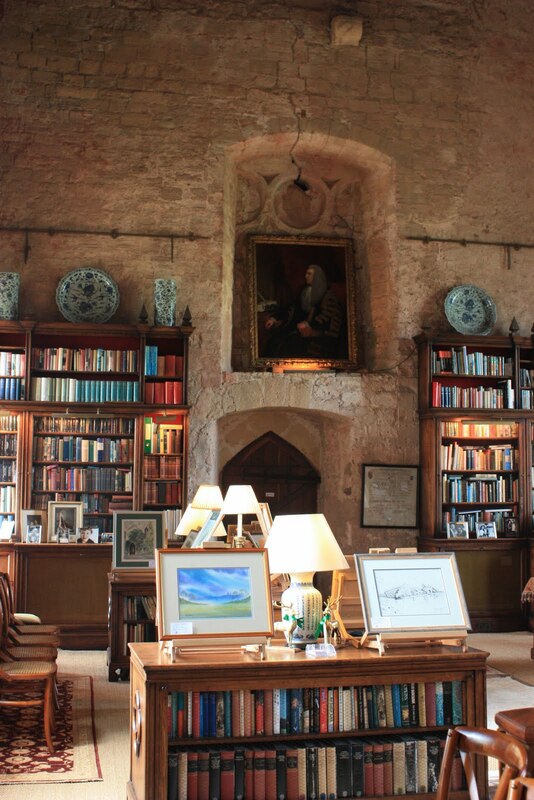 The funding process was assisted by the Heritage Conservation Trust, a charity associated with the Historic Houses Association, that supports the restoration of works of art that are of historic or artistic importance in historic houses. The portrait was cleaned and restored by Harrogate-based David Everingham, whilst the frame was repaired and restored by Lincolnshire-based Paula Reeve. As a condition of the funding, the portrait has to be on display to the public. 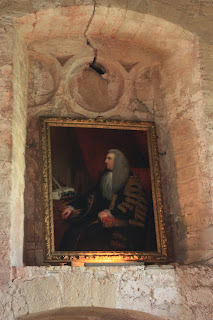 Last year, he sat on a purpose-made easel in the fireplace of the Great Hall - but it was always thought that he was a bit precarious, and he really got in the way during weddings! 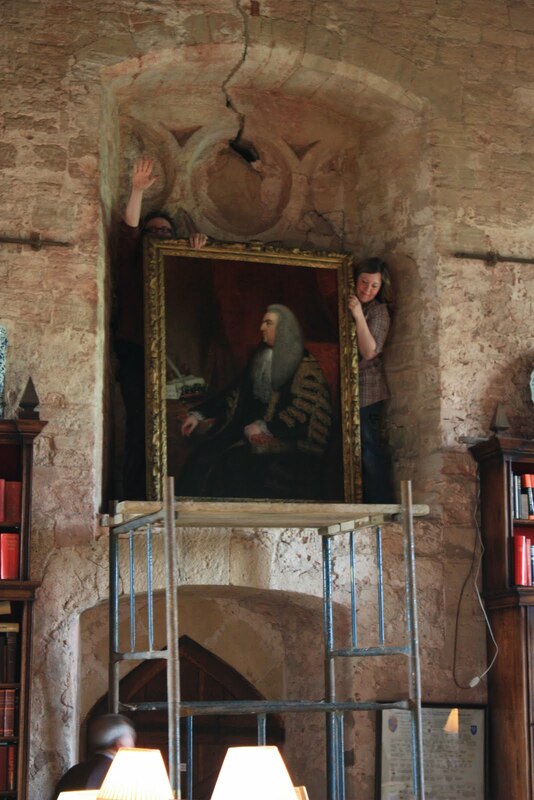 So, the decision was taken to raise him up and pop him in to the blocked-up window in the west wall of the Great Hall. From there he can look out over the Great Hall, which must have changed beyond all recognition to him; a solid roof, clean damp-free walls and now a much-loved and used family room. He also gets to look out across the Hall in general - a building that has not changed at all in the subsequent seven generations, and which he would recognise in an instance. I need to come and take a look at the next opening time! I love the Great Hall. Could browse the books for hours in a row. If only we could read them.